St. Brigid’s College is a second level school under the auspices of Galway/Roscommon Educational Training Board. Vocational Education was introduced in Loughrea in 1932 and in 1983 the present school was built on a nine acre site in Mount Pleasant. Since then the development of the site has continued and additional facilities have been put in place. These include playing pitches, changing rooms, a sports hall and all-weather long jump and high jump facilities. St. Brigid’s is a single storey building comprising of 38 rooms, 15 specialist and 23 all purpose classrooms. Our school is a modern school with an exceptional level of IT facilities. All rooms are equipped with computers, data projectors and Wi-Fi while our students are equipped with tablets/mini laptops to embrace and learn in the digital world that we now live in. 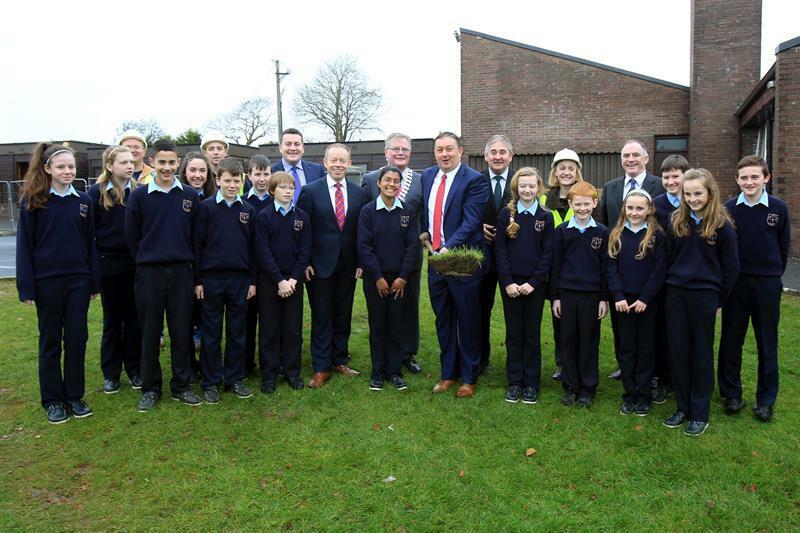 The most recent development completed in August 2015 involved a two million euro investment in our school. This extension consisted of an Engineering Technology & Metalwork room, a Construction Studies/ Architectural Technology room, a Wood/Technology Machining & Preparation room, a Science Laboratory and a Home Economics room as well as five general classrooms with storerooms and bathrooms included. The existing school was reroofed and new windows were fitted. With the passing of the Education and Training Board Act in 2013 our school was of oficially renamed St. Brigid’s College to comply with legislation. Back row: L to R: Mr Val Gorham (FVG Construction), Barry McCormack(FVG Construction), David Monaghan(Deputy Principal ), Pat Gilmore(Chairperson, Galway and Roscommon Education and Training Board), Cllr Michael Maher, Niamh Kearns(Architect), Charles Mitchell (Head of Corporate Services , Galway and Roscommon Education and Training Board), Ciaran Connors and Michael Joyce. Front row: L to R: Megan Molloy, Sofia Maloney-Illien, Filipe Vieira, Katie Manning, Mark Connors, Tony Touhy, Shane Cullinane, Ciaran Cannon TD, Bhagya Bowatte Gedara, Sean Connolly(Principal), Barbara Verbovska, Brian Clarke, Kelly Spain and Megan Kenny.